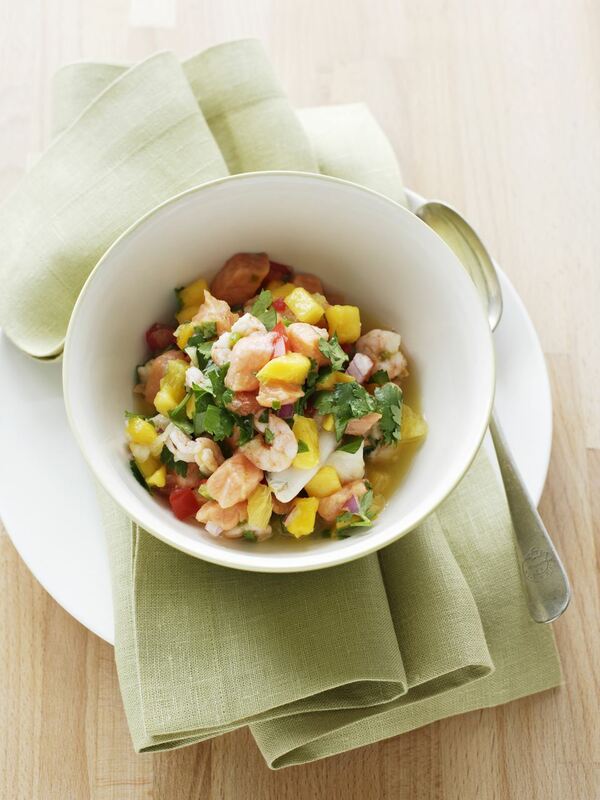 Try this out-of-the-ordinary ceviche twist - salmon with mango and jalapenos. The salmon never sees heat but rather is 'cooked' in acidic juices (here we will use orange, lemon, and lime juices). Mixed with soy sauce and mirin, this ceviche has a wonderful flavor and is perfect served with tortilla or plantain chips. Place the salmon in a medium bowl and gently toss with the orange, lemon, and lime juices. Cover and refrigerate for at least 20 minutes or up to 1 hour. Don't leave the salmon in the marinade for too long or the fish will become mushy. Drain the salmon, discarding the marinade, and pat it dry with paper towels. Place it in a clean bowl, and if not serving immediately, cover with plastic wrap and refrigerate until you’re ready to serve or up to 1 hour. Just before serving, mix together the soy sauce, mirin, onion, mango, jalapeños, and cilantro. Toss to coat, transfer to a decorative bowl, if you like, and serve immediately with the tortilla chips or plantain chips.